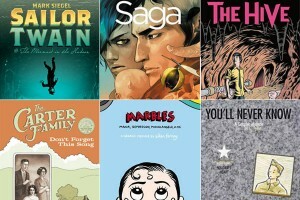 Critics Weigh In on the Best Graphic Novels of 2012 : COMICS ARE EVERYWHERE! A montage of covers from some of the more critically acclaimed graphic novels of 2012. It’s that time of year again. The dog days of 2012 are quickly dwindling with 2013 waiting in the wings. And the critics are beginning to look back at the past year to see what films, music and books made a deep, lasting impression. And comics and graphic novels are getting more and more acknowledgment in the deluge of “Best of 2012″ lists racing into view. So, here are some select links to articles reminding of those comics that blew your mind while giving you a heads up on noteworthy graphic novels that you might have missed during the course of 2012. 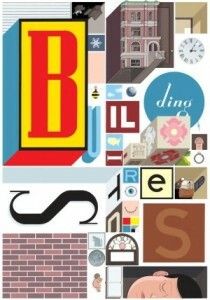 Chris Ware's multi-faceted Building Stories reigns supreme at the top of most critics' "Best of 2012" lists as a triumph of storytelling through the comics medium. My cartoonist friend Michael Cavna at The Washington Post, put together a formidable list of titles that range from Daniel Clowes’ new book to works by the late Harvey Pekar and, of course, Ware. Even Time magazine is getting in on the act and getting hip to the fact that graphic novels have a huge audience out there. And it ain’t just kids reading these books either! 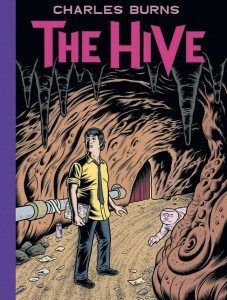 Charles Burns' The Hive is a personal favorite that takes readers further down into the surreal rabbithole spawned in his book, X'ed Out. The second chapter of a warped trilogy, The Hive radiates weirdness with a quirky and nimble touch inspired by both Herge's Tintin comics and Beat writer William S. Burroughs' nightmarish, cut-up novels. Perhaps, you listen to National Public Radio and you might be curious about NPR’s resident comics guru Glen Wheldon’s list of notable graphic novels that didn’t get as much attention as they deserved. Of course, the most relevant “Best of 2012″ is the one you compile on your own using your individual tastes and sensibility as a compass. So, what are you waiting for? Get on it, folks!